Ohio parents Josh and Laura Dell surprised Laura’s mom BIG TIME with her first grandchild, baby Ellie! 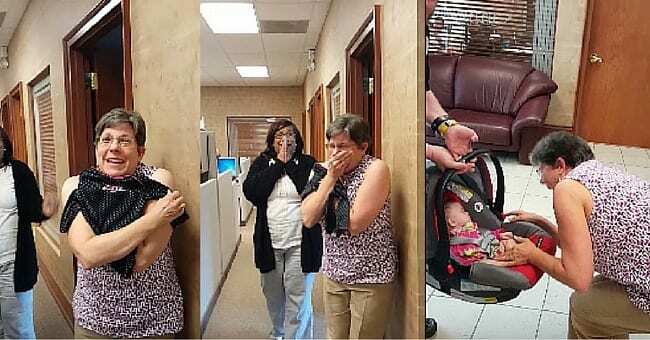 Grandma knew they had been approved to adopt but had no idea they had been matched with a child until they showed up to give her the surprise of her life. 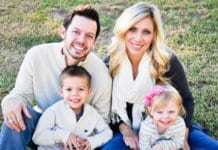 “My husband and I had been in the adoption process for about a year. My mom, who is adopted herself, knew that we were home study approved. 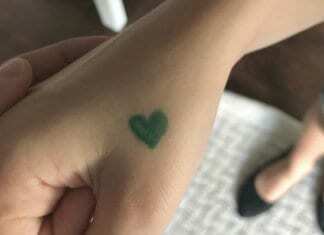 She had no idea, though, that we had been matched, let alone that we had been placed. Needless to say, she received the shock of her life that day as she met her first grandbaby! She thought she was just getting an anniversary present. PS – the onesie says Grandma’s Little Girl”. Congratulations to this precious family and thanks so much for sharing the JOY and BEAUTY of adoption with us!